There are six bell peppers and 24 cabbages in the AP system now. 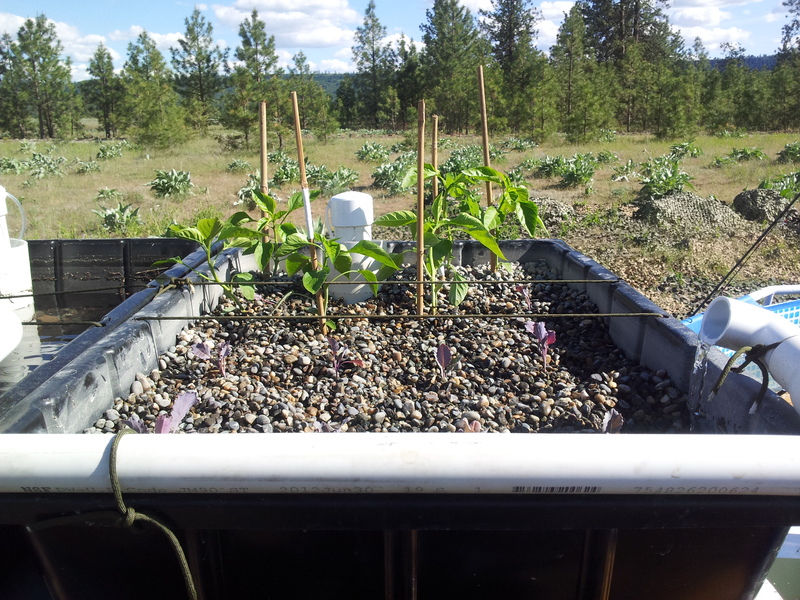 I don’t have enough pellets to plant the third grow bed. I’ll pick more up when I can. The pump I’m using can probably handle a fourth grow bed. I should have the bed in place this week. I’m not sure if there are enough PVC parts to get it running. See the fish tank full of water? It was nearly emptied this weekend. Twice. 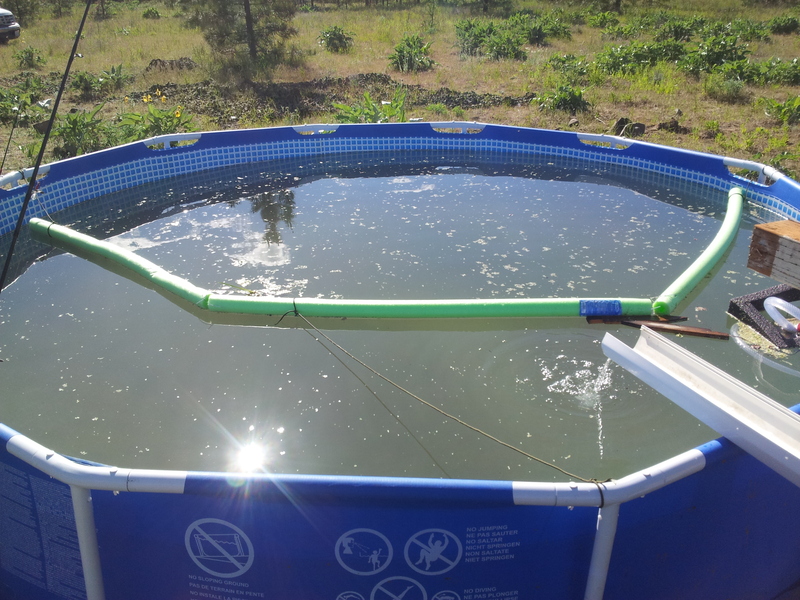 The first time was PVC parts separating and the pump running the water onto the ground. I wasn’t ready to glue everything together yet. A painful lesson. The second time was the result of a storm. The return channel, a piece of rain gutter, was knocked over and the return water ended up on the ground. There was less than 3 inches of water in the pool. There’s a term, bricolage. It means to make it up as you go, rather than engineering first. You use what’s available, and you don’t plan and measure first. It’s a great process because your project can grow and evolve. I’m getting a great education while I’m doing this. 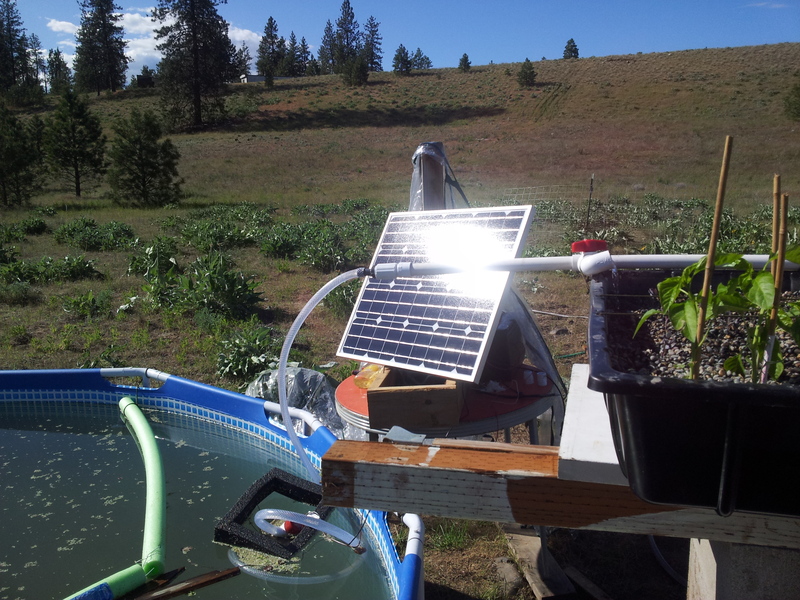 My pump is running great, the batteries are good and the panel works well in fair weather. I’d like another panel for bad weather days. It’s time to put up a permanent structure for the panel and the batteries. 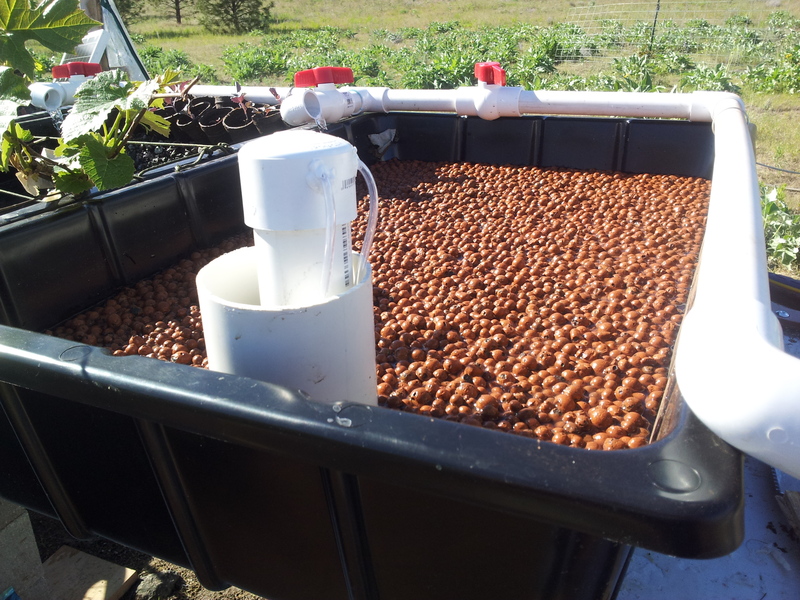 This entry was posted in Aquaponics and tagged aquaponics, battery, bricolage, gravel, pellets, pump, solar by admin. Bookmark the permalink.